Kang brothers is one of our proud family based suppliers. B.C Kang was established in 1976 and represents many products made in China, Thailand and Vietnam. The founder, Mr B.C Kang, was a hard working, extremely honest and dedicated person, who we sadly lost in 2010. Like Sandhurst, many of their employees have been with them for over 15 years and are dedicated ‘family’ members of a great company that prides itself on honesty and professionalism. The buying office, located in Seoul Korea, combs the length and breadth of Asia to get us the best deals on most of the Asian sourced product we buy. We are proud to have an association with Jin Kang, who is the daughter of Mr Kang. We were introduced to them in 2004 by our great friend the late Mr John Toynbee, who had a huge impact on our business through consulting us on import and export matters via his roles as former CEO of Cerebos Foods. 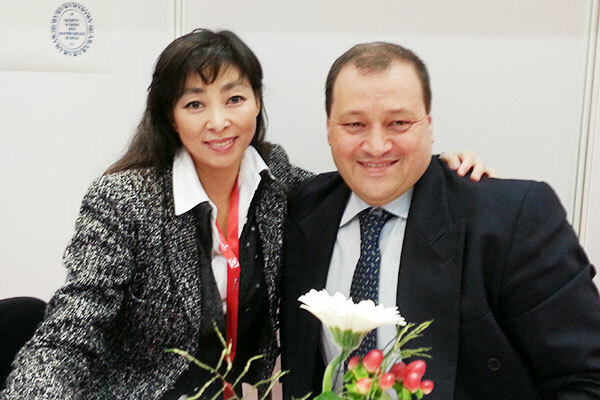 Shown in the picture are Jin Kang and Mimmo at Anuga, where we caught up for some discussions on our sourcing from Asia.